Section 50 of the Ontario Occupational Health and Safety Act (“OHSA”) prohibits an employer from disciplining an employee who has sought enforcement of this law. If an employee alleges a violation of section 50 of OHSA then the employer must prove there has been no violation. This is called a reverse onus clause which means an employer must prove it did not violate OHSA. After a brief summary of the remedies that are available to employees under section 50 of OHSA, this blog discusses three recent cases. If an employer cannot prove that it did not violate section 50 then the presumptive remedy is the employee’s reinstatement. Normally, non-union employees do not have a right to reinstatement. If the employee does not want to be reinstated then an employee can be awarded (i) lost wages that can far exceed wrongful dismissal damages, and (ii) damages for lost of employment. Some people do not understand why an employer can be ordered to pay an employee damages for lost wages and separate damages for the loss of employment. Even though OHSA does not state that the Ontario Labour Relations Board (the “OLRB”) has the power to award aggravated damages, the OLRB has ordered this kind of damages in at least two cases. In a 2014 decision, an employer was ordered to pay an employee with 3.5 years’ service: (i) 21 weeks pay for lost wages which was the time between the termination and the date of the hearing plus an additional 6 weeks pay and (iii) $ 7500 in aggravated damages. 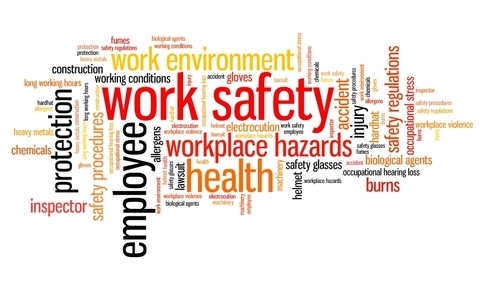 The employee in this case was terminated after the employer learned she had filed a health and safety complaint with the Ministry of Labour (“MOL”) in connection with a workplace accident where she was injured. In a 2015 decision, an employer was ordered to pay an employee with 19 weeks’ service (i) 31 weeks pay for lost wages (less part-time income earned during this period); (ii) 6 weeks pay for the loss of employment; and (iii) special damages for job search costs. The employee in this case was terminated after the employer learned that the employee asked the MOL about the non-existent workplace health and safety committees at the workplace. In a 2017 decision, an employer was ordered to pay an employee (i) 33 weeks’ pay for lost wages and (ii) $5000 as compensation for the harm inflicted on her by the employer’s flagrant breach of her statutory rights. The employee in this case was terminated shortly after complaining that a co-worker had threatened her. An employee has the right to file a complaint with the MOL claiming he or she has been terminated for raising a health or safety concern including a workplace harassment complaint. The employer must prove the employee’s decision to seek enforcement of OHSA had nothing to do with the termination; otherwise, the presumptive remedy is reinstatement. There is no cost to file a complaint and the employee need not hire a lawyer. If the complaint is not successful then the employee will not be ordered to pay any of the employer’s costs. The legal cost to defend such a complaint can easily amount to several thousand dollars. If the complaint is successful then the employee can be awarded significant damages; in some cases, significantly more than wrongful dismissal damages. An employer should take all health and safety complaints seriously including workplace harassment complaints and other alleged violations of OHSA and investigate them promptly. An employer terminates an employee for calling the MOL about OHSA violations at its extreme peril.